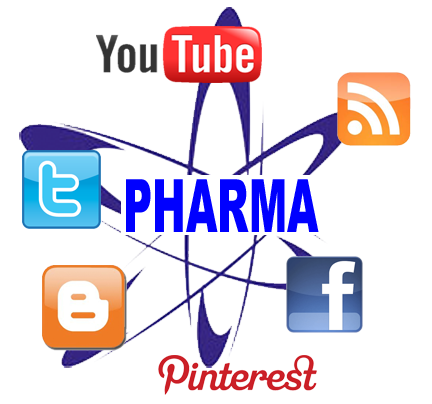 Social Media & Pharma – How Are They Doing? It appears that practically every company has a Facebook, Twitter, and Instagram account these days. In fact, it feels strange if a company was not on some form of social media. So with every industry emerging on social media, it would only make sense that companies in the pharmaceutical industry would soon follow suit. So how are they doing? We decided to take a closer look. According to an article featured on EMarketer.com, they’re not doing so hot. “Pharma is about three to five years behind other industries in its adoption of technologies and new marketing channels”, according to Bruce Grant, Senior Vice President at Digitas Health. Grant believes that pharma companies that use social media have not been able to create a connection with their audience, and it turn, appear superficial. He goes on to say, “Listening helps pharma to be authentic in the conversation, and often all a company has ever done is create monologues and used superficial market research”. Another article featured on MediaMeasurement.com found that 90% of pharmaceutical companies are still inactive on social media. While this may come as a shock, we learned that pharma companies also have strict guidelines to follow, set forth by the FDA. The American organization PHARMA “called for the FDA to publish guidelines on advertising and promotion via social media, arguing that ‘Fair Balance’ (the requirement of pharmaceutical companies to publish warnings about adverse side effects and risks alongside any mention of a drug) and the publication of adverse event reports is impossible in a social media context thanks the challenges posed by moderating comments on Facebook and Twitter”. Another reason article that focuses on social media and pharmaceuticals found that many drug companies are also wary to allow comments to appear on their Facebook account. You can read the whole article here. So what do you think about this? After some research, we learned that drug companies have a different set of rules to play by when it comes to social media. But should they be allowed to be more open online? We want to hear from you, leave a comment below! As public relations students in college, it has been imbedded into our brains how crucial is it for a company in any industry to have a solid pr plan. Whether you’re in the entertainment, healthcare, or publishing industry, a great public relations plan is not only vital for success, but to also create relationships with consumers. A great pr plan is especially important to professionals in the pharmaceutical industry. One lesson we’ve learned in our public relations classes is that we must be “proactive, not reactive”, meaning that we must be prepared to handle a crisis at any time. It’s not a matter of “if” a crisis will happen, it’s “when” a crisis will happen. Pharma companies need to adapt to this mindset, because this industry is filled with controversy and scandal often. Pharma companies have the ability to create a pr plan, and use it to their advantage. Check out our “Positive PR for Pharma” list below for ideas! 1.) Communicate – One of the primary goals on pr is to communicate with consumers. Pharma professionals need to take the time to speak with consumers about their views of the industry. Learn from consumers; they have a lot to say. 2.) What is Your Competition Doing?– See what other competitors are doing with their PR plans. How are they reaching out to their audience? How have they handled a crisis? 3.) Eliminate a stigma – The pharma industry is often associated with secrecy and deception, and a good communications plan can help eliminate this stigma. Open the lines of communication with the public. While there are certain restrictions and regulations for public relations the pharmaceutical industry must follow, there are still many possibilities to create an effective public relations plan. Happy blogging!